Summary Recommendations: The term cephalosporin is extremely general. There are multiple individual drugs within this class. In addition to multiple drugs under the general cephalosporin umbrella, there are four generations of drugs that carry the same name. The drug group is generally considered safe for use during pregnancy, but each drug is slightly different and may have different side effects. First generation: cefadroxil, cephradine, cefazolin and cephalexin. Second generation: loracarbef, cefotetan, cefuroxime, cefprozil, cefoxitin and cefaclor. Third generation: ceftibuten, ceftriaxone, cefotaxime, cefixime, cefpodoxime, cefdinir, cefditoren, ceftizoxime, cefoperazone and ceftazidime. General Precautions: A broad-spectrum antibiotic can relieve symptoms in a few days, but the full course of treatment must be completed. Possible side effects of taking the antibiotic include seizures, problems with blood coagulation, inflammation of the colon and renal toxicity. Many of these potential side effects are present in all broad-spectrum antibiotics. Stopping treatment before the full course is complete could result in a recurrence of infection. Effect While Trying to Conceive: Taking cephalosporins is not associated with reduced fertility in males or females. Effects on Pregnancy: There are no known effects of this drug group on pregnancy. 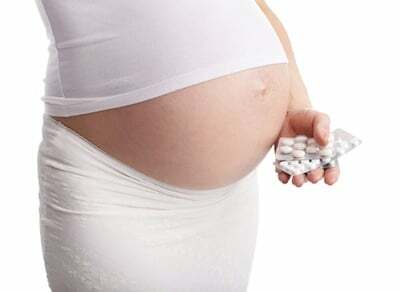 If you are pregnant and taking a cephalosporin antibiotic, ask your obstetrician or the prescribing physician about possible pregnancy complications or birth defects. As is the case with all prescribed medications, talk to your prescribing physician or obstetrician about current treatments immediately if you find out you are pregnant. Safe During Breastfeeding: There is a bit of debate about whether breastfeeding women should use cephalosporins. Some researchers worry the antibiotic, which does pass to the infant in milk, can affect healthy bacteria levels in the bowel. There is also the possibility that tests for infant infection can be altered if mom is taking cephalosporins and breastfeeding. The American Academy of Pediatrics lists some cephalosporins as safe for use during breastfeeding, but it is best to check for information specific to the drug you are prescribed.